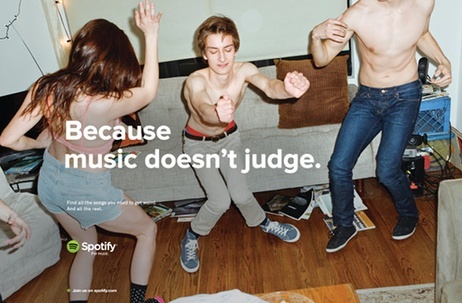 Spotify have launched their first ever ad campaign in the US, showing the power of music. Radios' relationship with the record industry has always been important... perhaps never more so. With more alternatives for record companies to get their music promoted, is radio still relavent... and is the DJ recommendation more powerful than the algorithmic recommendation? Who better to address some of these issues than former CEO and Chairman of EMI (UK & Ireland) and the current Chairman of the BPI, Tony Wadsworth. It's been interesting to see the rise of 'storytelling' as a powerful force in marketing. Storytelling is of course as old as time itself, and for years in radio we've always known the best presenters are the ones who tell the best stories. We respond vetter as individuals when people are telling us stories... not just selling us stuff, or promoting something. Over the last few years we've seen storytelling creeping more and more into mainstream commercials for high street brands. The latest to jump on board this fashion is Waitrose... who are selling us both their values (wholesome, natural, steeped in culinary tradition etc) and their products with this technique. I like these ads. Simple stories told in an effective way. And even with 'The Boy and The Lamb' they've managed to weave their celeb chef into the execution.